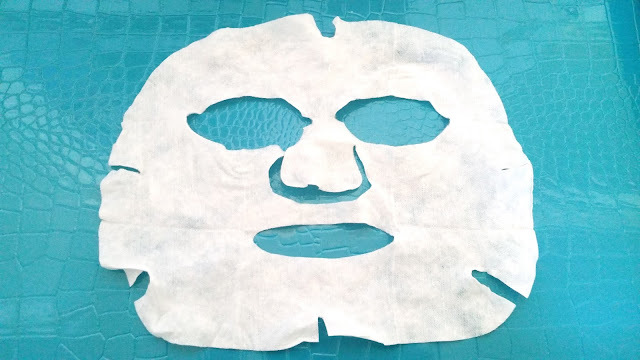 I thought I had posted this review a long time ago but while cleaning up my queue this past weekend I found it in drafts, so I thought I'd share it today on Mask Monday. 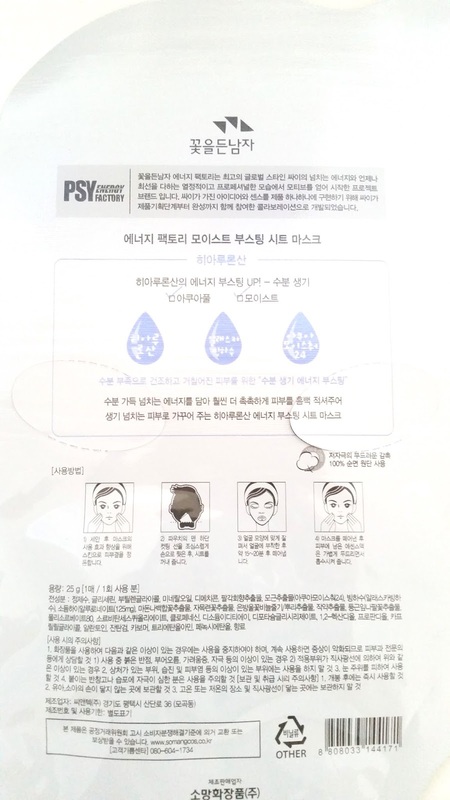 The Psy Enegy Factory Sheet masks were not masks on my to buy list. Actually, I didn't even know they existed until I saw them at my local beauty store last year. What attracted my attention was probably the chibi Psy head. According to the sales lady, the packaging of the mask is suppose to be as big as Psy's head, but that wasn't the reason why I decided to buy the mask. I think I bought it because it was on sale, 2 for $3! Lol, I thought it was a deal and a great way to try out some new masks. So I got the Hyaluronic Acid mask and the Ceramide mask. Anyways, let's get to know these Psy masks. 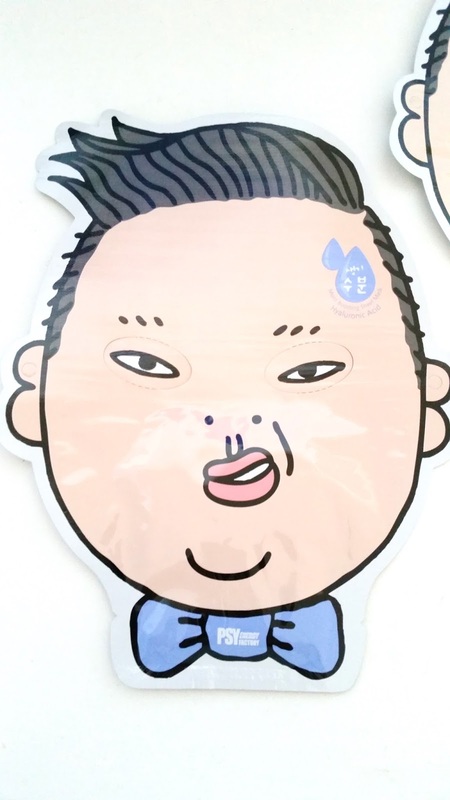 Product Description: In case you've never heard of Psy, he is a South Korean Kpop artist. 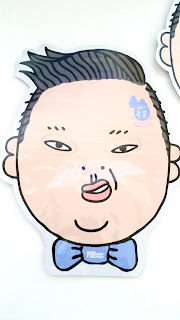 He became popular due to his song: Gangnam Style, which was quite popular on Youtube. 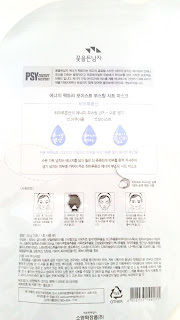 The Psy Energy Factory sheet masks come in 3 different types: Hyaluronic Acid (HA), Ceramide, and Collagen. 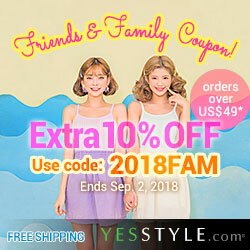 The masks can help boost moisture on the skin. To Use: Take the mask out of the packaging and leave it on the skin for 15 to 20 minutes. Remove mask and continue with the night time skin care routine. Scent: For the HA mask, think clean fragrance mixed with alcohol. It reminds me of the hospital actually, sterile scent. Not something I want on my face. 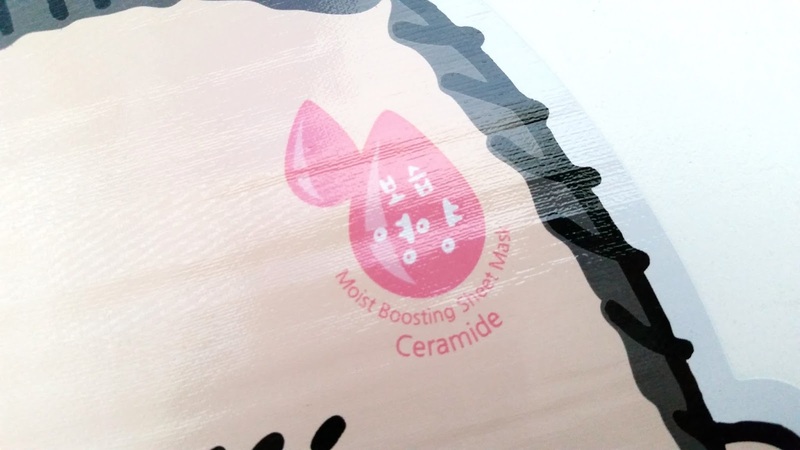 As for the Ceramide mask, it is the same scent as the HA mask. The alcohol scent is very strong, however, since I couldn't translate the ingredients list, I can't say for certain that it contains alcohol. But, it does smell strongly of alcohol, so I am making an educated guess here and say it does contain alcohol. Open the pouch from the bow tie area. 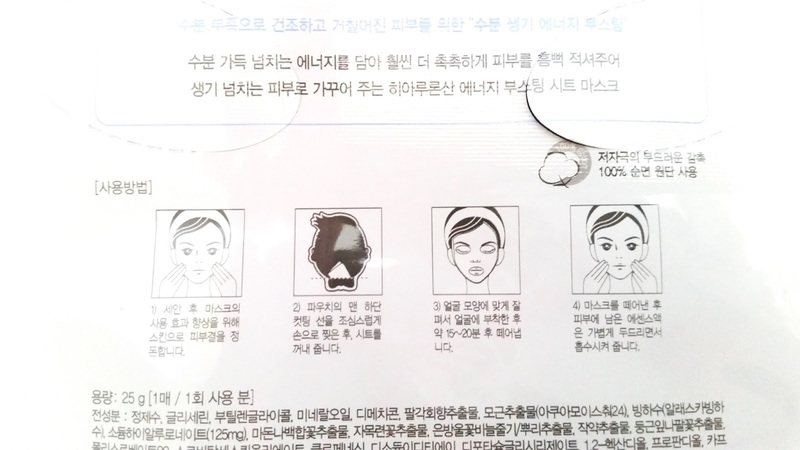 On another note, the ingredients, instructions, and information on this mask are all in Korean, which was disappointing. I was also unable to translate the ingredients, so I had be very careful with my patch testing. Texture: The sheet mask itself reminds me of Etude House sheets. It's a bit thicker than others like Innisfree or MBD. It's tear-able but not easy. 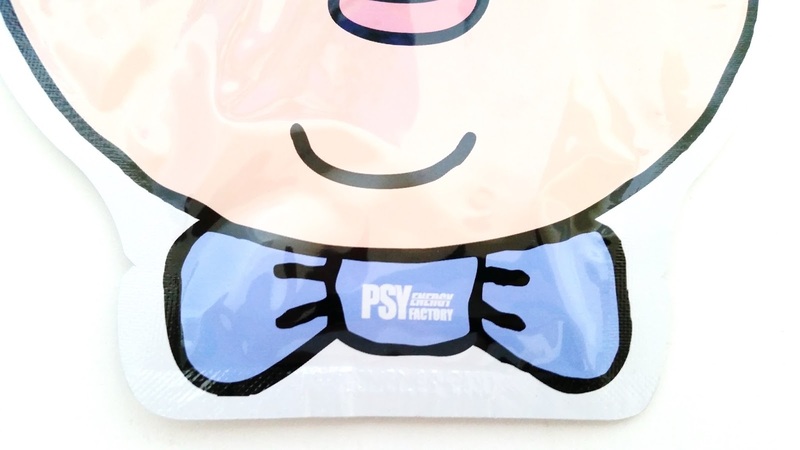 Color: The essence in the pouch and on the mask has a milky like color. It's white and cloudy opaque. My Thoughts: I was very careful going into this to patch test. Since the masks smelled strongly of alcohol, I was afraid it might be irritating to my skin. I patch tested both masks before I put them on my face. Although I didn't notice any irritations during my patch test, I did miss something. We'll talk about that soon. 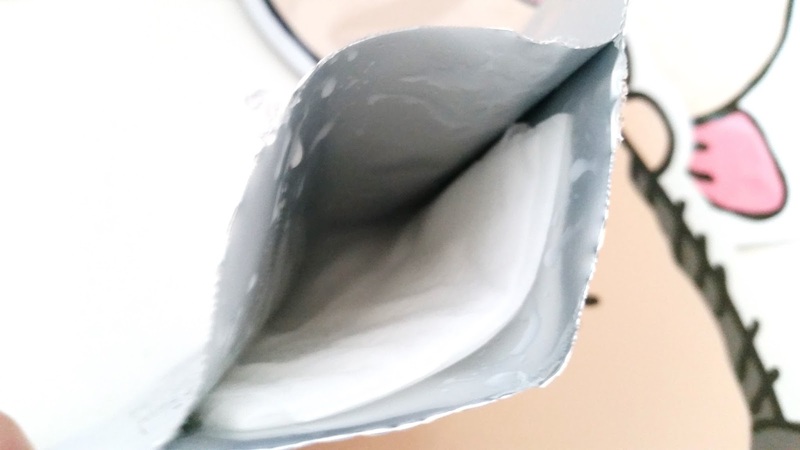 Let's start with my thoughts on the Ceramide mask because it was the first out of the 2 that I tried. The sheet mask felt cooling when applied to my face and it was soaked in essence. I was hoping the mask would moisturize, soothe, and nourish the skin because that's what other ceramide masks have done in the past. Unfortunately, it only seems a little moisturizing and nothing more. Rather disappointed in the result. I don't know how I managed to sit through 20 minutes of hospital like scent on that mask either, but I'm sure the TV show helped. 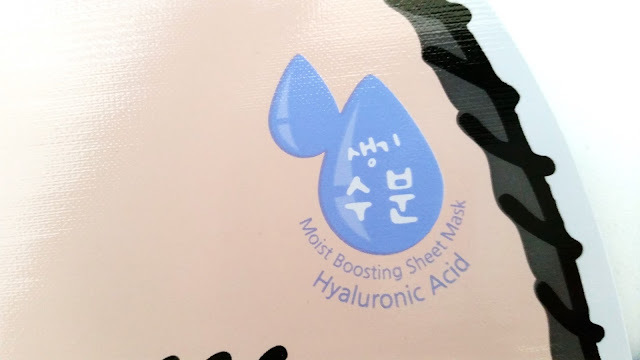 After the Ceramide mask, I was left wondering if I really wanted to try the HA mask. I took some time away from it and 2 weeks after trying the Ceramide mask, I decided to try the HA. The patch test went fine and I used the HA mask. The mask felt like an Etude House mask when I first applied it and I thought to myself 'not bad'. However, I had to take it off after 10 minutes because that hospital like scent was giving me a headache. I wasn't expecting much of the mask and to be honest, it didn't have much to give. It was a bit moisturizing on the face, but keep in mind I only left it on for 10 minutes. The mask didn't have any long lasting effects and I didn't notice much of a difference on my face. So I finished my normal skin care routine and went to sleep. Now, I said I missed something and that was the after effect. 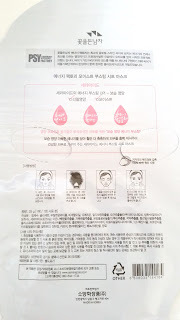 Although this didn't really happen with the Ceramide mask, the HA mask dried my face. Shocking, since HA is suppose to moisturize. I woke up the next morning with dry patches on my cheeks and nose. I was not happy but I managed to fix the issue within a few days. I was just lucky that there was no break outs. Final Thoughts: Well, it's been a long time since my patch test missed something, maybe it's time to re-evaluate my sheet mask testing process. I think because I wasn't expecting much out of these masks that I'm not really disappointed that they didn't work well on my skin. It's definitely not a mask for those who have sensitive skin types. Plus, if you don't like strong scents that reminds you of alcohol (or in my case, the hospital...sterile scents) you should probably avoid this mask. 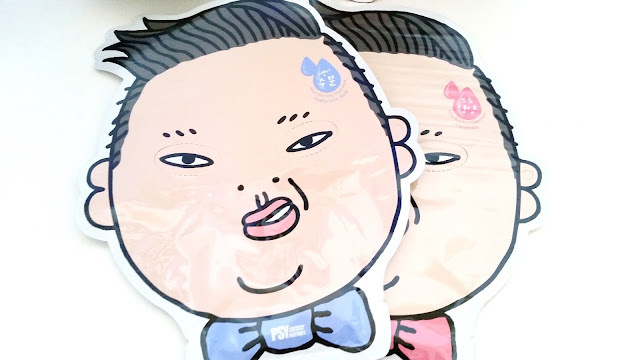 I think the point of these masks were to sell the 'Psy' image more as opposed to it focusing on the mask aspects. 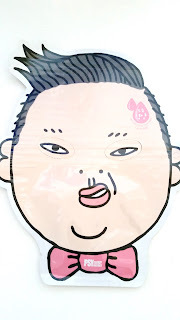 I'll most likely try other chibi Kpop star masks, if they do end up making some in the future. But for these masks, I won't repurchase. As for who might be interested in these masks, I think Psy fans or people who don't mind strong scents might like these. Disclaimer: These products were purchased by me with my own money. All opinions expressed here are honest and my own.